Muscle&Motion – Anatomy for iPad is now available! 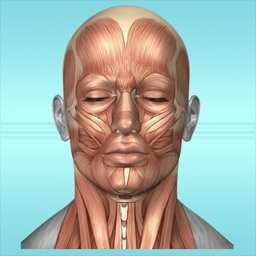 -	Physical, Occupational and Chiropractic Therapies. 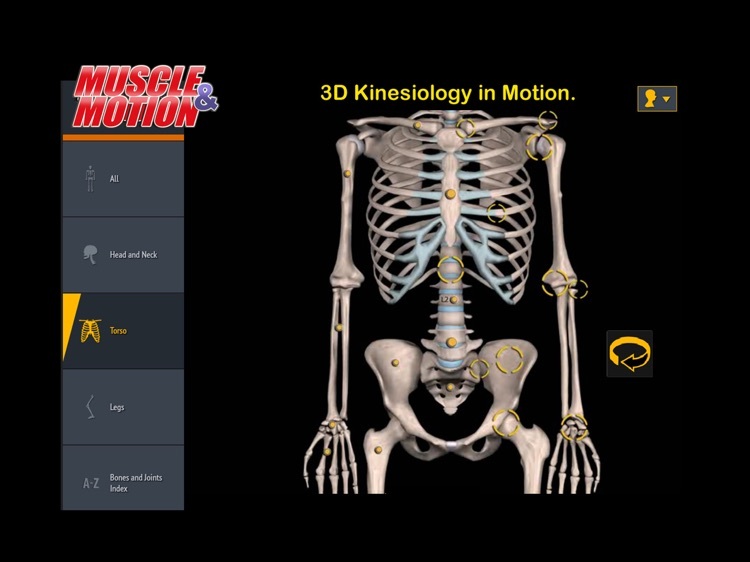 Easily accessed and navigated, the "Muscle&Motion - Anatomy" app is exceedingly efficient as a reference source in applied professional settings. 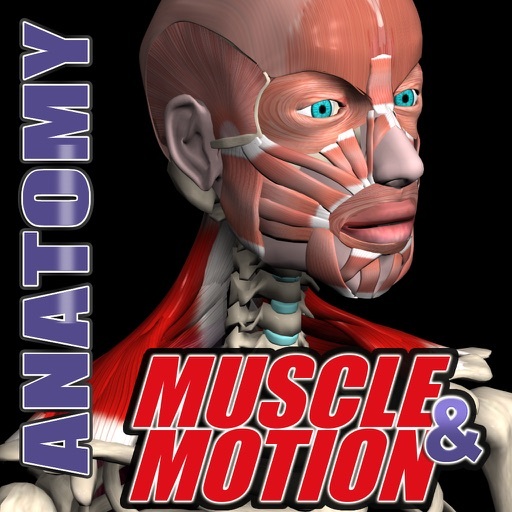 •	integrative comprehension of the mechanisms and functional interactions that create bodily motion. 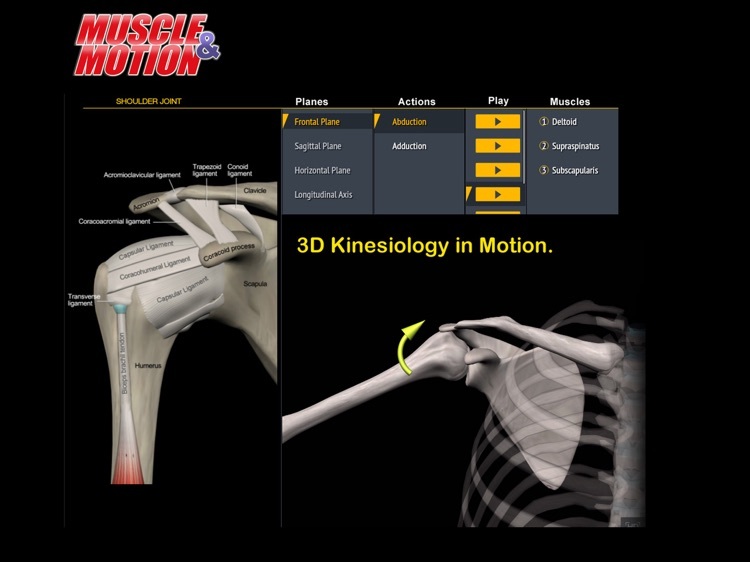 The knowledge sets contained in the learning modules are hierarchically organized, while allowing for non-linear presentation in interactive instructional settings; each module offers detailed subject-focused knowledge, augmented by broader multi systemic visuals and clarifications. 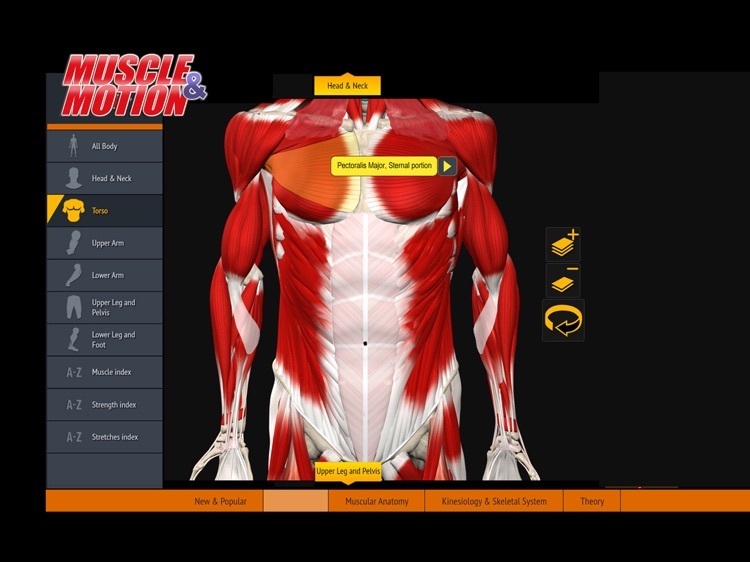 The "Muscle&Motion - Anatomy" app features four thematic learning modules. 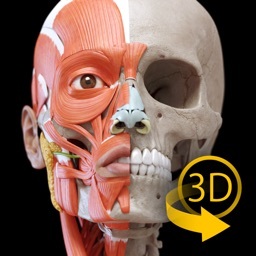 Each module provides subject relevant terminology, theory and explanations – introduced and contextualized using 3D rotatable images and multi-angle 3D animations. 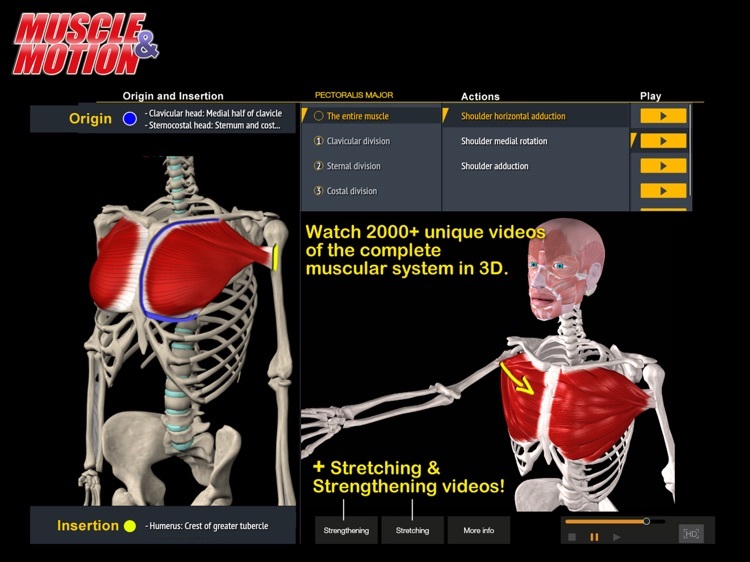 •	A complete and detailed animated viewing of the physical structure of the human muscular system, including all muscle groups and individual muscles, their positions and parts – insertions, origins, and the joints upon which they act. •	The antagonistic, synergetic and stabilizing functions of specific muscles in producing specific movements. 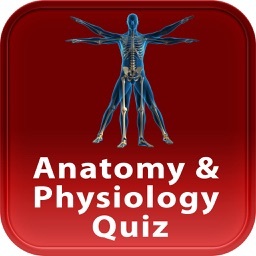 A full articulation of the skeletal system and its constituent parts. 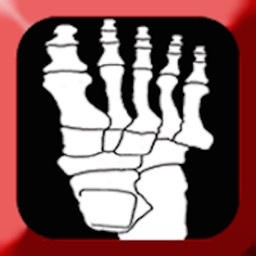 Using the apps' 3D rotation capability, each bone and its joints - its different areas and its points of attachment to muscle - are analyzed from all sides. Each movement is presented from different angles. 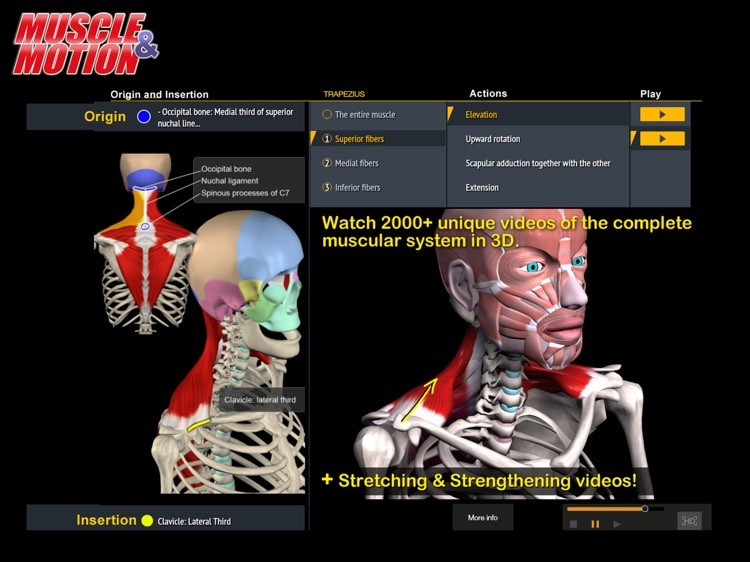 A review of the physiology impacting the muscular system, featuring Anaerobic and Aerobic energy mechanisms involved in producing motion. 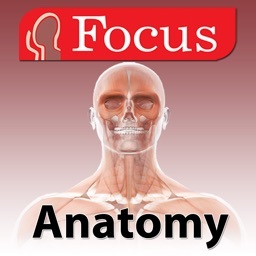 •	Enhance the later retrieval, mental visualization and manipulation of required knowledge in applied and research settings.